1. 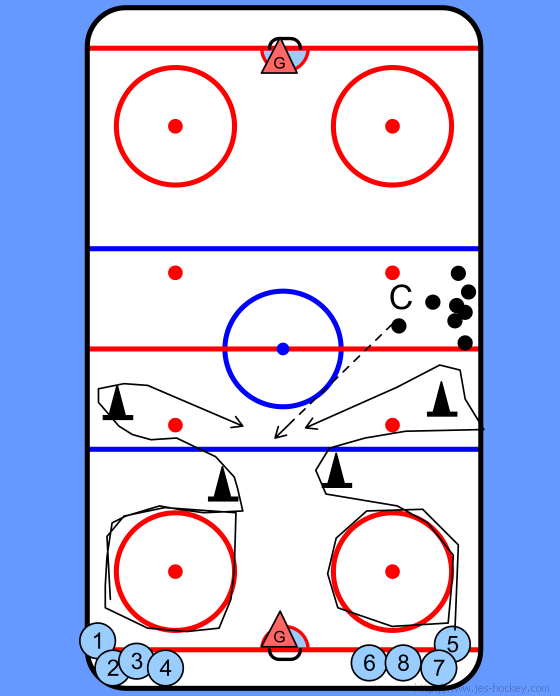 Players skate to the red line make a complete stop, back to the blue line and then up the ice racing to the puck. 2. If they get to the puck first they go in on the goalie and if they are second they try and catch the other player. - Use half ice and make them make turns.